The first was made on our way to Ohio and back visiting Chip’s family. The pattern is from one of my favorite places Monchimonchi Land. I bought her book very recently when I first started reading her b log and what she was working on just captured me. I almost immediately went to Border’s to get it. I am trying currently to convince Chip to take me to NYC to see her show in October. 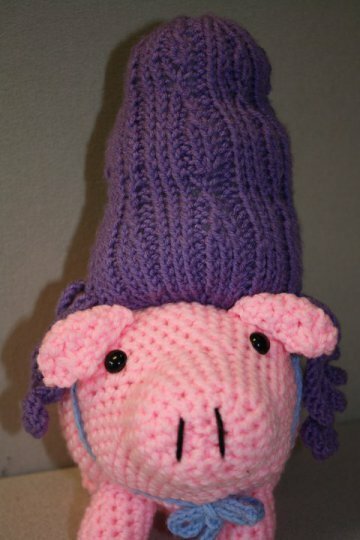 For now I offer my version of her pattern for Pigs In Wigs. 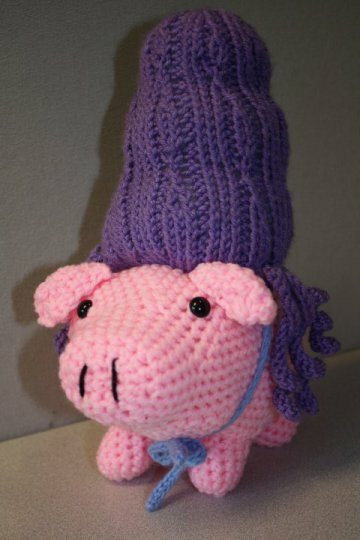 Now I am not a proficient knitter but the patterns are easy to read and understand so I do get it :D, but my progress with knitted projects is a bit slow. 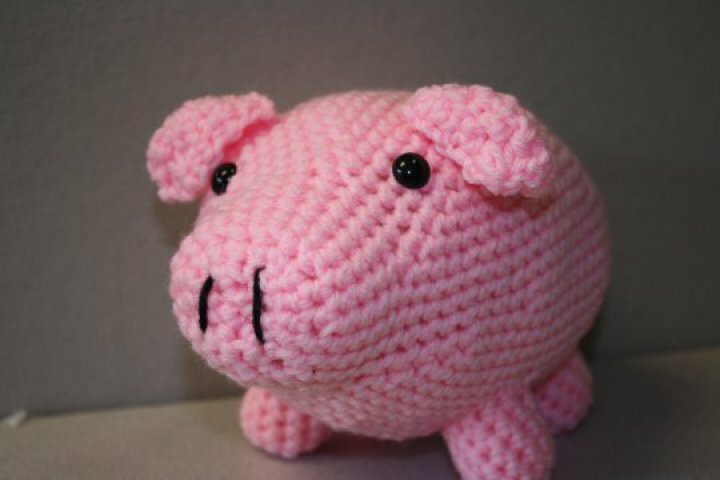 Being that I have been crocheting for so long I felt that I could do the pattern better justice if I crocheted the pig portion. 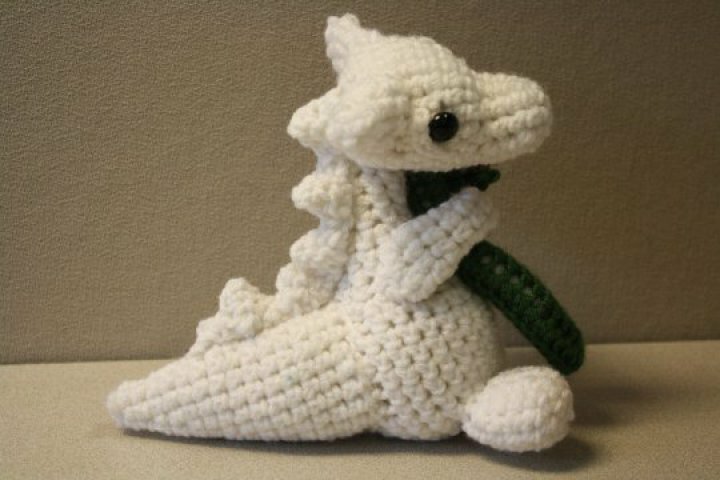 My simple conversion still used her pattern for the increases and decreases but I converted one single crochet row for 2 knitted rounds. I am pleased with the result. 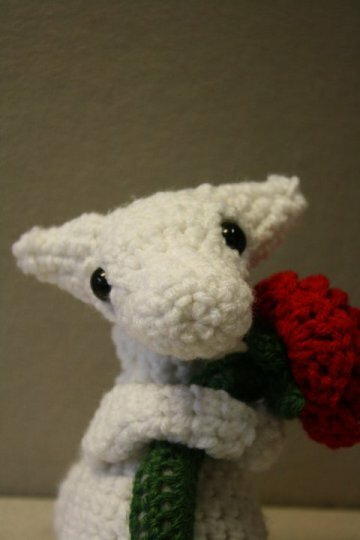 Valentine a cute baby dragon looking for a fair maiden to give his heart too. 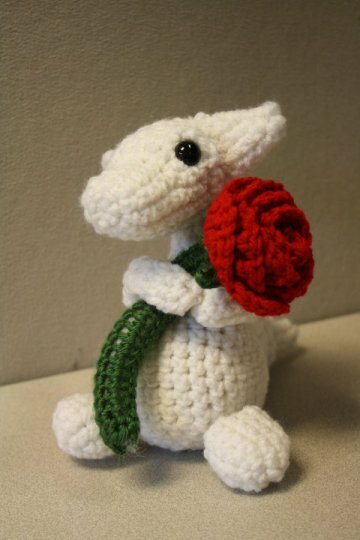 I added the rose and modified the pattern for the spikes on his back and his eyelids to make it look like more of what I had pictured in my head. 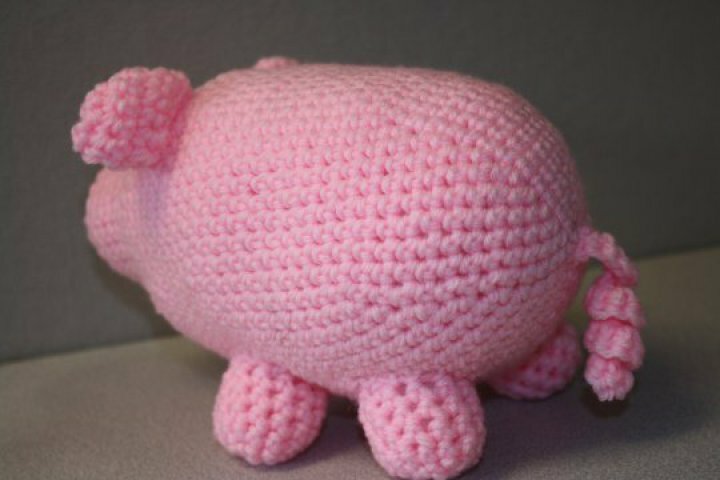 Well that is all for now.. Back to the yarn with me!! This entry was posted in Experiment, mochimochi. Bookmark the permalink. OMG! 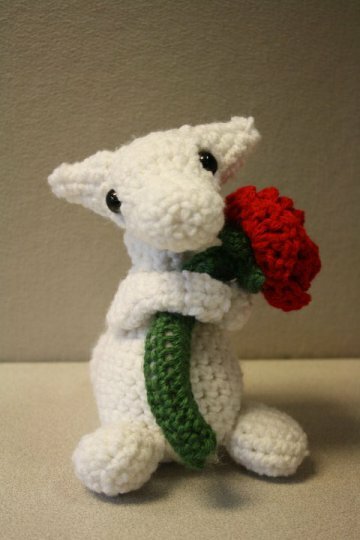 I <3 Valentine so much!! !